Did you know uranine doesn’t fluoresce when frozen? 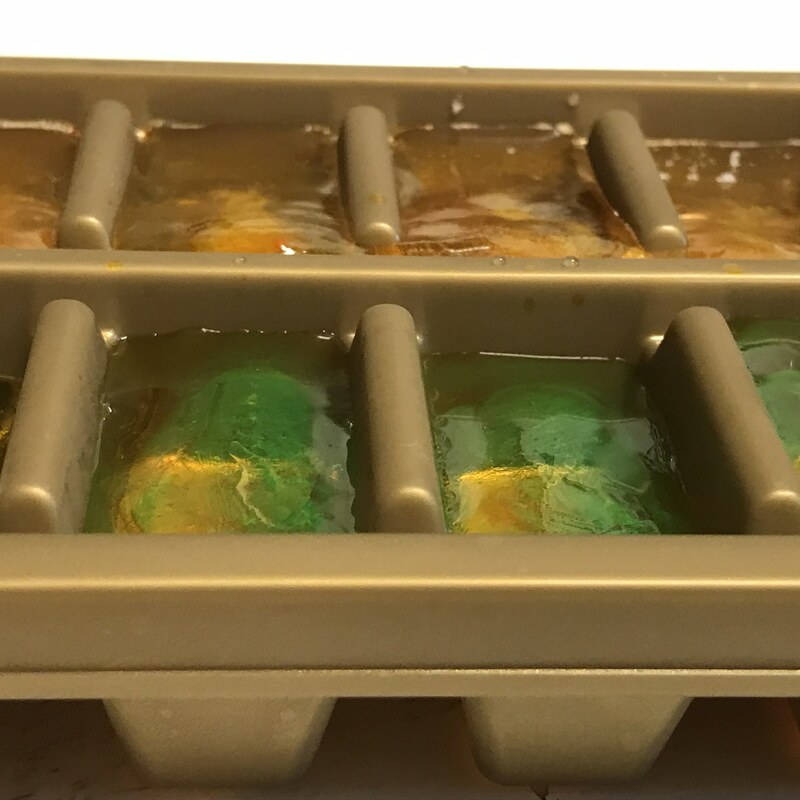 I had frozen a second tray* with ice cubes dyed with uranine (you know, the green stuff I found in the lake near my house the other day?). Like the other ones, they clearly froze back-of-the-freezer-forward, and the most interesting thing to me: Only the parts that weren’t frozen were fluorescing in the fridge! For comparison, here a picture of the leftover water (so same dye concentration as the ice cubes) in the beaker, and the tray with frozen ice cubes next to it. You can see the beam of the UV lamp on the table* so you believe me that the ice cubes were lit with UV light, too, they just don’t fluoresce! **and a stain that I am only now noticing, but it wasn’t me; I was working super carefully since today I am not dressed for the lab and I don’t want that stuff on my clothes! 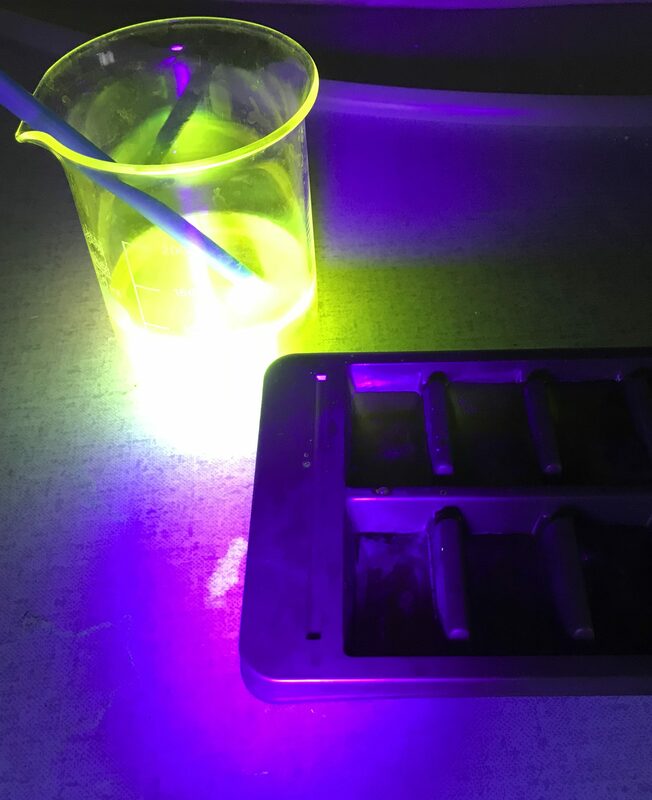 This entry was posted in observation and tagged dye, dye tracer, fluorescence, ice cubes, melting, Uranine on October 11, 2018 by mglessmer.